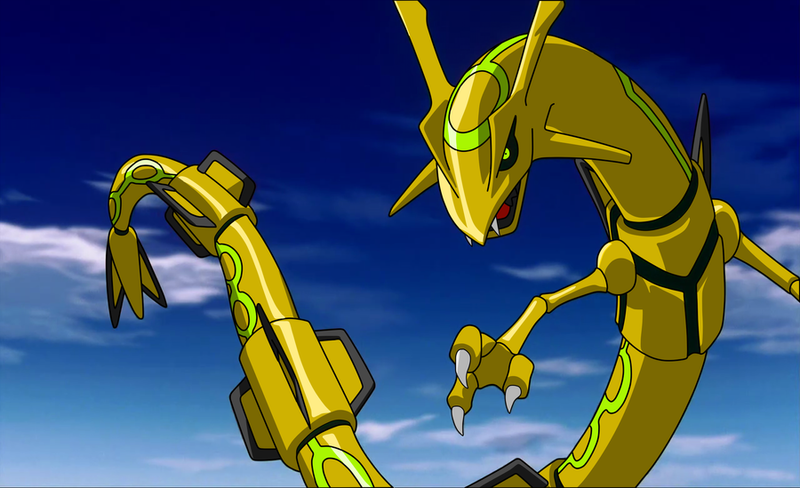 Alexander Hemedinger Takes A Look At Why The Rayquaza Is So Hyped? And Discusses What May Need To Be Done To Win Against The Hate. Hello everyone and welcome to another deck tech and game play video with analysis! I hope everyone did well in there openings and pulled some great cards for a lot new decks being able to be played now! Now will it change the meta? Could be - let me explain. There were a lot of different Rayquaza decks and I will mainly speak about the more hyped version of colorless. This deck is by far a sick damage attacker! I kind of think of it as a higher HP and quicker than Night March. The main thing I noticed is the 220 HP, period. That totally helps this deck as your opponent cannot most likely kill the Pokemon. And by the time they may be able to, it's already too late as you set up your other one. The deck certainly has it's ups and downs as I see quite a bit weakness here and I want to get everyone to think about this and perhaps discuss what list we can use to get around all this hate. I mean literally every time I try to get a game in online, it's another hate deck. Ligtning - Tons of people are starting to run more of Rayquaza's weakness with Manectric making a slight comeback. I even seen a little bit of tech with other decks running a Raichu if that wasn't enough how about the fact a simple little 30hp Joltik can kill you with even half the amount of needed Night March ability? Talk about funny! Pokemon EX - As you will see in my video Having just Ex's as your main attacker can be troublesome. So here are some cards that are literally a beater and I want to figure out a list to work around it in general. Kling Klang - Stops all EX's dealing damage to your metal Pokemon. 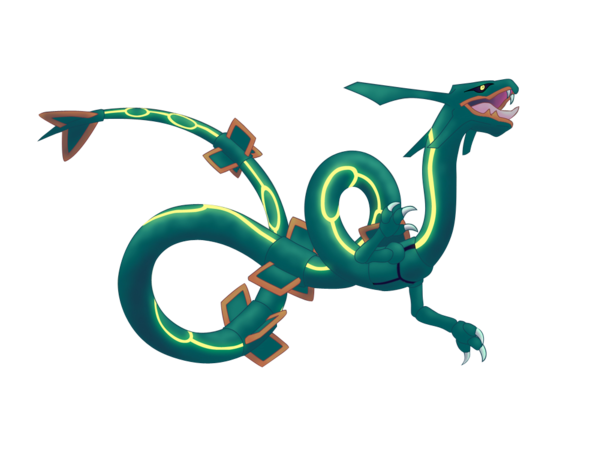 Sigilyph - Not as bad as Kling Klang but surely slows us down a bit, if the player plays well he leave just the Siglyph out and attach energies to use it's other attack. Toad Decks - The hammers, oh man the annoying hammers. That certainly is a beater to any deck surely, but this one is so reliant on it it's disgusting. Not to mention stopping you from using Items is ultimately like a Night March deck and might as well shake your opponent's hand. I played quite a bit against these decks and usually am around a 30% chance of winning. So keep the look out for this one. I surely can go on about it, but I wanted to just summarize. Aegislash EX - Another annoying card the fact we mainly have to rely on Double Colorless Engergies. We could possibly try to live the dream and put all basic in the discard (if none are prizes) and then try to Mega Turbo three times. But the chance of that are very slim, and honestly I seen some run that with Toad to even further laugh at our hype. So The Deck Is Still Good! It certainly is good and doing well in Japan, I am not hating the deck in any way, I just want everyone to calm down from the hype and take a deep breath. Let's look at the weaknesses and try to come with a strategy around it. It just annoys me we don't have sideboard like other games to help us with those weaknesses. The deck is certainly strong and fast and I find it way better than the Night March. It draws more and becomes a fun way to play the game, but for the moment I am going to just hold on to the deck and place it away for now. But Alex Your Wrong It's The Best! It could be, maybe I just had bad luck but unfortunately I don't see the hype much longer as people will start to find other decks. Maybe the other variant is better or perhaps some other deck from new set may be better.... who knows? Just play what you like and practice the heck out of it! Know your weaknesses and ignore the strengths, cause the strengths is why you played to begin with. Play as much with different senarios in life or in your head. RayRay / Shaymin Is My Boy! Editor's note* I know I recorded incorrect again with this time being that the screen didn't capture fully. Well I hope you enjoyed this article, let me know your thoughts in the comment section below. Always be sure to subscribe to my channel! And of course be sure to give this a thumbs up! Take care!